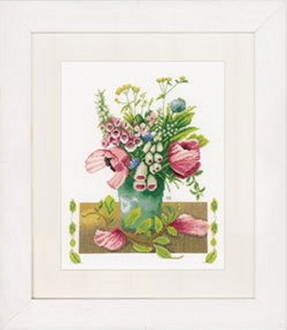 A beautiful Summer Bouguet of Flowers to cross stitch with stunning detail. Artist: Marjolein Bastin Design size: 11"w x 14"h (27cm x 34cm). 100% Cotton 27 count Evenweave fabric, 100% cotton pre-sorted DMC threads, needle and chart.